The ASL 109 Sip and Puff Head Array combines simple sip and puff controls with head movements. In this driver control device any puff equals forward and any sip equals reverse. Right and left turns are controlled by sensors located in the lateral wings of the Head Array. Steering or veering can be achieved by rotating the head toward the left or right wing sensors while going forward in the latched mode. This system is designed for those with lateral head movement and weak breath control volume. 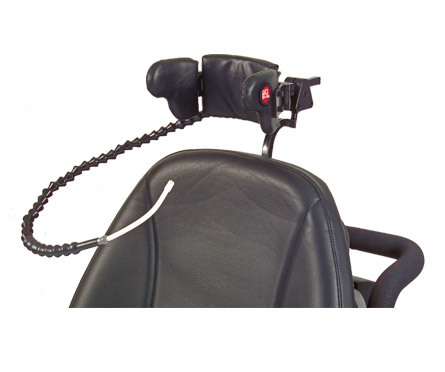 The driver control is typically used with individuals with a high level spinal cord injury. Must Specify Wheelchair Electronics. Requires ASL 154 Interface.